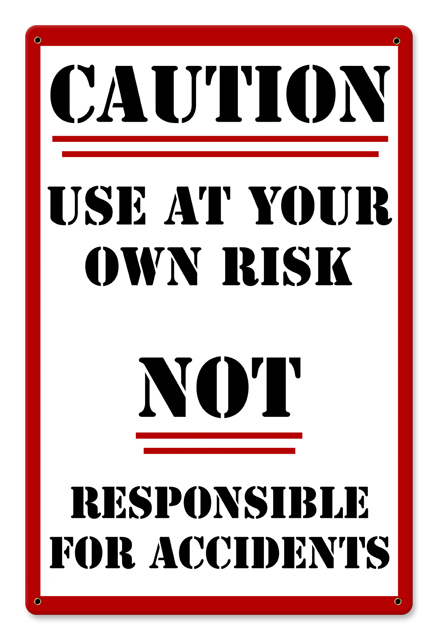 This Use at Your Own Risk Metal Sign measures approximately 12 inches x 18 inches. Unlike most tin signs, we design and make our signs in the United States using 24 gauge American steel and a process known as sublimation, where the image is baked into a powder coating for a durable and long lasting finish. The edges of this sign are rounded for extra rigidity and the corners are drilled and riveted for easy hanging.